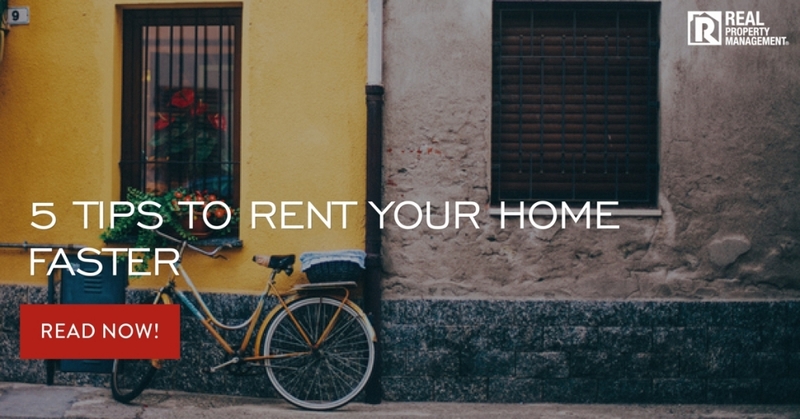 A vacant rental home costs you money. The longer the vacancy, the longer you go without tenants making a rent payment. You can reduce the number of vacancy days with planning and preparation. At Real Property Management SAC-METRO, we understand the rental market and can help you maintain a steady cash flow. Proper Prepping – Your rental home needs to be presentable on the inside and out. A nice-looking property attracts more qualified and reliable tenants. The yard should be tidy and well maintained. Keep the grass trimmed and free of weeds. Consider the exterior look of the home as well. A fresh coat of paint makes a big difference. If you do not want to paint the entire home, instead focus only on the front door. A worn or scratched front door doesn’t give the best first impression. Don’t forget the interior of the home. Make sure it is clear of any prior tenant belongings or trash. A clean home speaks for itself. Aggressive Marketing – Once the home is ready to show, get it out on the market. A simple yard sign isn’t the best way to get the most looks. You want to create the best chance for qualified tenants to find your home. Create listings on several websites in Sacramento. Property management companies have extra resources available to help landlords list their property. Prompt Home Showings – If someone is interested in your home, jump at it. Don’t delay responding to possible tenants. You don’t want to miss the chance of finding those perfect tenants that will care for your home, respect your property, and pay rent in full and on time. Thorough Tenant Screenings – Check everything from credit and income to employment and rental history. Finding qualified tenants gives you the best chance at having a positive rental experience. Hassle-Free Leasing – Once you have found tenants, make it easy for them to move in. Process paperwork quickly. Take the lockbox off the home. Re-key if necessary. Set a move-in date and have the home ready to go. Real Property Management SAC-METRO is a company you can trust. We use proven processes to make you profitable. Our experienced professionals help you avoid costly mistakes by taking over the everyday duties you face as a landlord. Put our team to work for you. Call today and see what Real Property Management SAC-METRO can do for you.